I had planned to post this recipe during next month, but I am making an early posting of my champagne punch bowl recipe at the request of my good friend Yuri. This champagne punch bowl is one of my trademarks. 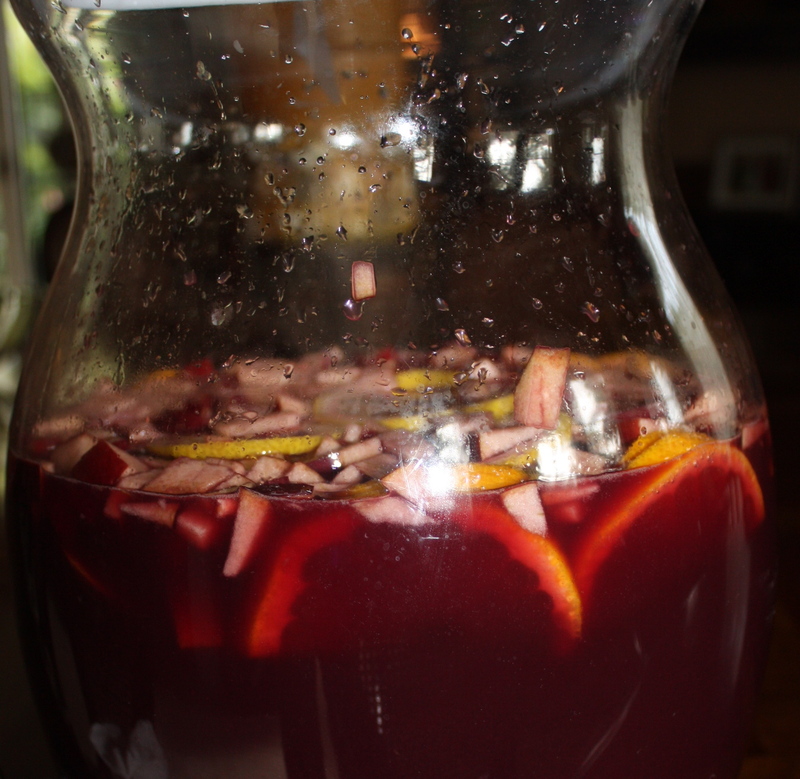 My friend Narah named it “bul de la verdad” or “the drink of truth” because every time I make it and guests start to drink it, by the end of the gathering everyone will be telling “the truth” (without inhibitions). Ja! It is very refreshing and easy to make. Your guests will be asking for this recipe too! Please remember this is not juice, it has alcohol so pace yourself no matter how good and sweet it is! Tip: Drink plenty of water and eat before, during and after drinking. If you want you can add frozen strawberries (about 2 cups) to this punch bowl mix. Its optional. 1. In a large pot heat cranberry and orange juice with sugar just until the sugar dissolves stirring occasionally . Remove from heat and add bottle of white wine (and strawberries optional). Mix well. Freeze mixture pouring into two separate containers overnight. I freeze it in 2 tupperware covered jello molds or into two bundt cake pans. 2. When ready to serve, place frozen mixture in a punch bowl and add 2 champagne bottles for each mold. Stir and serve.